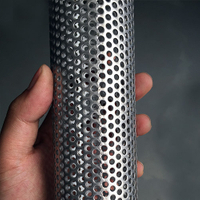 Crimped Wire Mesh Used As Fence Or Filter In Industry - Anping Country Xinjia Metal Products Co., Ltd.
Crimped wire mesh can be also known as the iron crimped mesh, stainless steel crimped mesh and black iron crimped mesh according to different materials. It is made in a variety of materials through crimping mesh machine, a kind of universal wire products with square or rectangular openings. 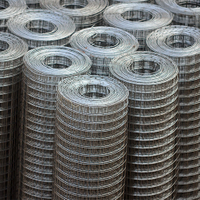 Our crimped wire mesh products are made of galvanized wire mesh and stainless steel wire mesh. According to loading capacity and wire used, it can be separated into heavy type and light type. They enjoy the features of strong structure, loading capacity and keeping forms. Crimped wire mesh products are used as fence or filter in a lot of industries. Heavy type crimped wire mesh is used in screening in mine, coal factory, construction and other industries. Light type crimped wire mesh can be used to roast for food or meat. 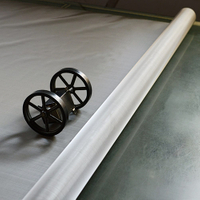 It has the advantage of heat resistance, corrosion resistance as well as nonpoisonous, tasteless and convenient for handling. More information please contact us or see products list. 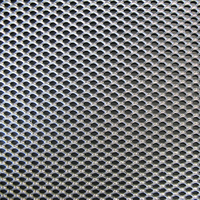 Crimped mesh made by carbon iron 12 mesh / inch , wire diameter 0.8 mm , width of mesh 1700 mm. length 30 m for testing. 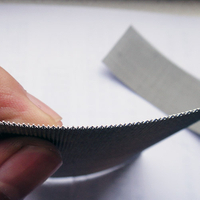 Steel Wire Cloth for vibratory mining screen, with 4.76/15.87/50.80/76.20/101.60 mm opening. Aluminum crmped wire screen panel with 2 inch openings and 1/4 diameter mesh, used for fabricating into balcony rail fillers. 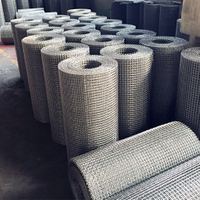 Plain weaving woven cloth with pre-crimped (warp and weft wire) mesh in hard hot-dip galvanized wire 8 mesh × 8 mesh × 0.70mm, 0.9 m - 2.0 m width.